September is here, which means we are entering the season of countless cups of hot cacao, cozy sweaters, and spicy-scented candles. Autumn is my favorite time of the year, so I’m very excited for it. 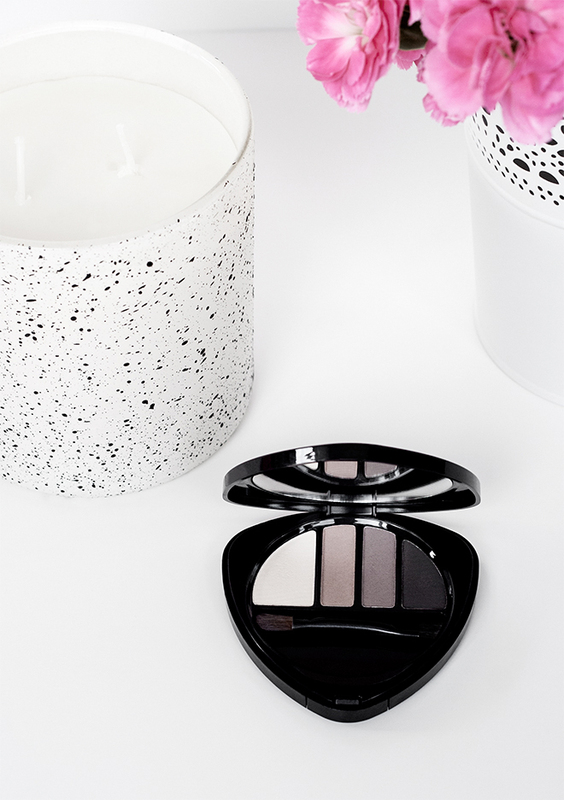 Speaking of Autumn makeup, to me it will always consist of muted, earthy brown colors, so this is why I think this Dr. Hauschka Eye & Brow Palette is a perfect addition to my makeup family. 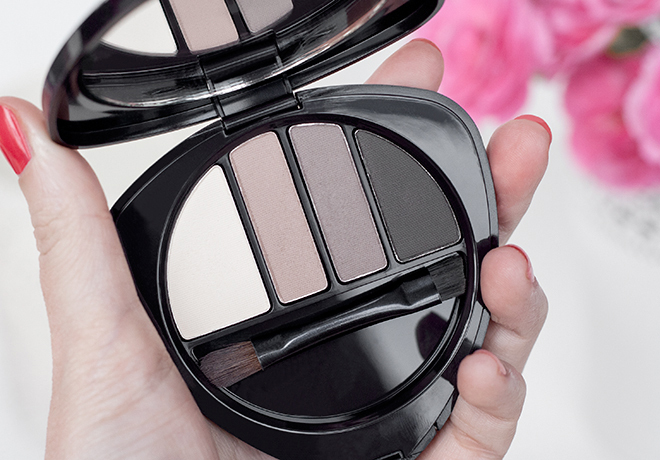 This certified organic eyeshadow palette comes in only one color – 01 Stone. The packaging is a lovely black case with an internal mirror and a small two-sided brush. I like that the brush is compact and convenient to carry in the case, but I would suggest getting a separate, higher quality makeup brush (or even brushes) because the one included just doesn’t work well. It’s too soft and too bulky for a precise eyeshadow or brow application. 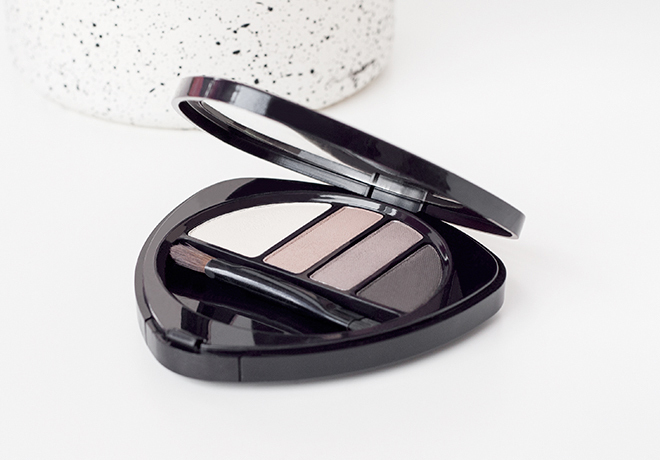 The eyeshadow is made with mineral pigments and organic plant extracts as well as with silk powder. It does contain carmine (unfortunately). The eyeshadow is quite powdery, but it blends well without looking crumbly on the lids. Though, an eyeshadow base is a must with this palette. The pigmentation is OK, not really intense but buildable. The lightest shade (soft cream) is almost translucent and is the least pigmented in the palette while deep gray is the most pigmented. To sum it all up, I would say the Eye & Brow Palette is ideal for a subtle everyday Autumn makeup look considering its versatility and beautiful colors. Colour 01, 03, 04 Talc, Magnesium Stearate, Caprylic/Capric Triglyceride, Silk (Serica) Powder, Silica, Diatomaceous Earth (Solum Diatomeae), Anthyllis Vulneraria Extract, Hamamelis Virginiana (Witch Hazel) Bark/Leaf Extract, Camellia Sinensis Leaf Extract, Fragrance (Parfum)*, Citronellol*, Geraniol*, Linalool*, Citral*, Eugenol*. [May contain (+/-) Mica, Iron Oxides (CI 77491, CI 77492, CI 77499), Titanium Dioxide (CI 77891), Ultramarines (CI 77007)]. Colour 02 Talc, Mica, Magnesium Stearate, Caprylic/Capric Triglyceride, Silk (Serica) Powder, Silica, Diatomaceous Earth (Solum Diatomeae), Anthyllis Vulneraria Extract, Hamamelis Virginiana (Witch Hazel) Bark/Leaf Extract, Camellia Sinensis Leaf Extract, Fragrance (Parfum)*, Citronellol*, Geraniol*, Linalool*, Citral*, Eugenol*, Maltodextrin, Carmine (CI 75470), Iron Oxides (CI 77491, CI 77492, CI 77499), Titanium Dioxide (CI 77891), Ultramarines (CI 77007). *from natural essential oils. NaTrue Certified. 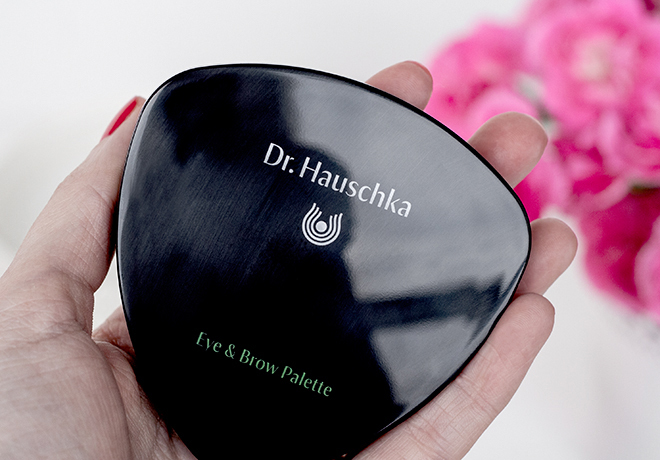 Dr. Hauschka Eye & Brow Palette can be found at any Dr. Hauschka’s stockists or online at Dr. Hauschka, Beautyhabit (US), Naturisimo (UK) for $45/£32 for 5.3g. Have you tried this palette? 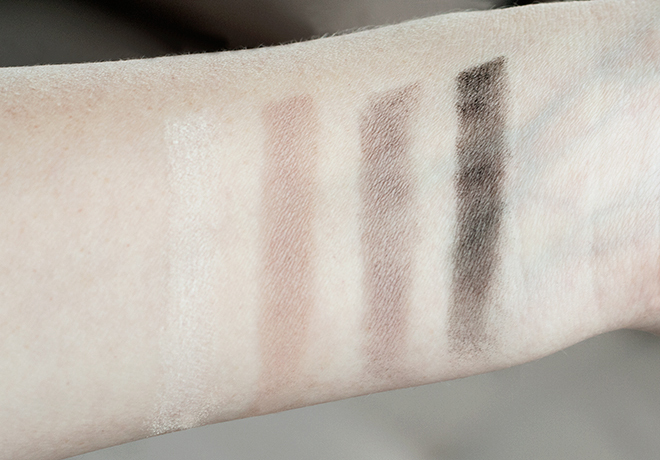 What is your go-to Autumn eyeshadow? Love the look of this palette – too bad that it does have carmine in it. It’s definitely a very wearable set of colours though! A great palette that really defines september. Great read and find. I simply love it. I have been using it for quite a while and may say it is the best I’ve used so far.